Aside from specializing in different aspects of the makeover process, each cast member of Queer Eye brings a little something unique to the table. 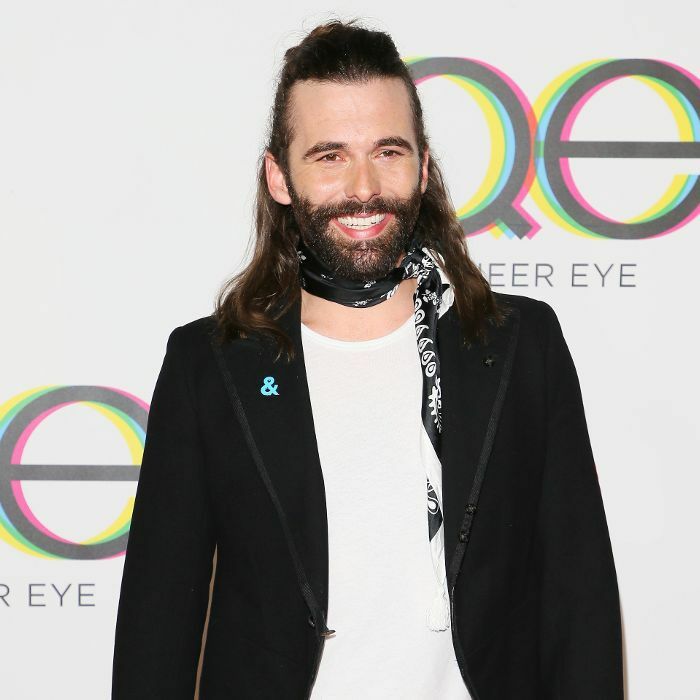 But we have to say that grooming expert Jonathan Van Ness's commentary has claimed a special place in our hearts—we live for his repeated use of the word "yas," his unparalleled knack for adding "realness" to the end of every sentence, and the fact that "Can you believe?" has become the slogan of season two. If you share our love of Jonathan's vocabulary and general existence, then the below video, culled from his Instagram Stories, is required watching. Van Ness, who is celebrating his 31st birthday today, opened a heartfelt birthday gift from his mother last night and recorded his very candid reaction. The gift is a handmade quilt covered in photos of iconic women, including Simone Biles, Hillary Clinton, Julia Roberts, Nancy Kerrigan, Tonya Harding, Reba McEntire, Michelle Obama, and more, so naturally, Van Ness was nearly moved to tears. The resulting video is pure gold. Watch the live unboxing below if you're in need of a pick-me-up, and catch up on the details of season two next.